Koderma a small town in Jharkhand known for its mica reserves recently witnessed the biggest ever groundswell of people demanding clean supply chains for products that use mica as an integral component. In a first, over 25,000 people comprising village communities, Government, corporate leaders, law enforcement agencies, children, former child labourers, trade unions, teachers’ organizations and civil society groups came together on 28th October 2018 for the cause heralding a new era in supply chain and human rights discourse. 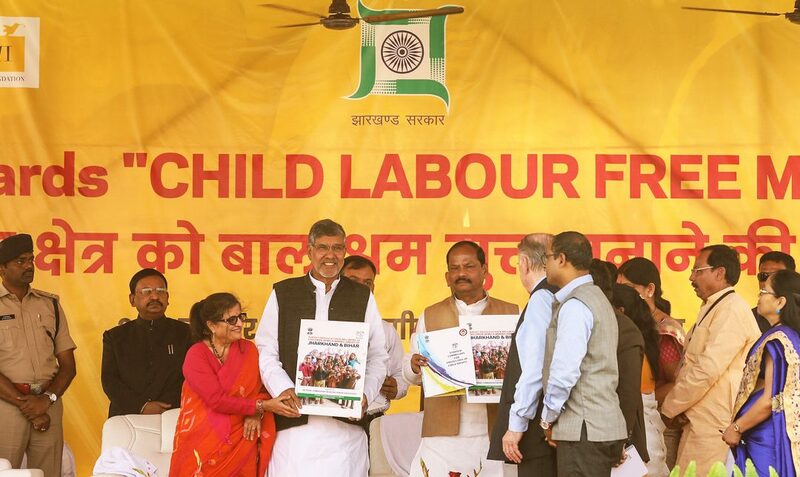 At the event organized by my Foundation, making a strong pitch for eliminating child labour from mica mining, Government of Jharkhand in presence of Chief Minister Shri. Raghubar Das signed an MOU with Kailash Satyarthi Children’s Foundation for scaling up and replicating the unique model of Bal Mitra Gram (Child-Friendly Villages) that we had introduced in the state way back in the year 2005.